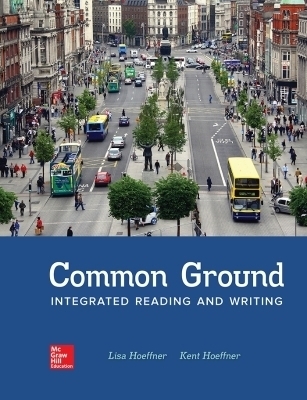 Common Ground the lower-level integrated reading and writing companion text to the best-selling Common Places focuses on guiding students through the reading and writing process at the sentence and paragraph-level. Providing an easy-to-follow blueprint for students by modeling skills and behavior without being wordy Common Ground approaches and helps students breakdown each reading and writing skill with step-by-step guidance and clear visuals. Carefully selected readings help equip students with not only the writing skills but also the life skills they will need for their college careers and beyond. Common Ground’s extensive and easy-to use grammar and mechanics handbook included in the text is tailored made for IRW students.